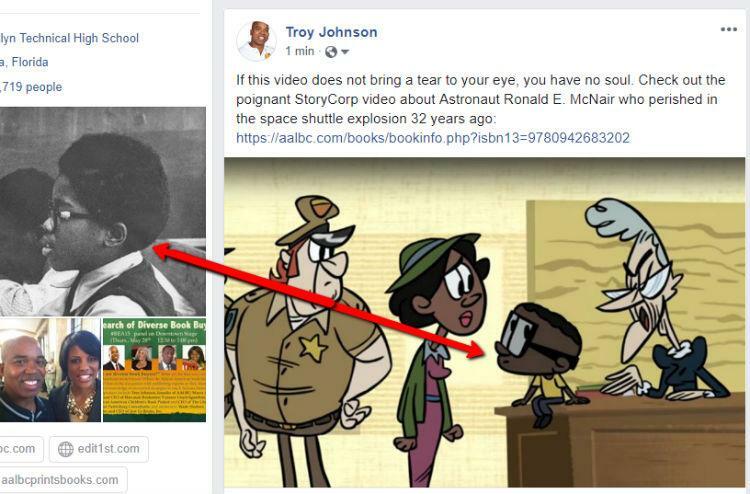 I was posting a link to AALBC on Facebook at the juxtaposition of the photo of ten-year-old me and the cartoon of nine-year-old old Ronald McNair, the astronaut who perished in the space shuttle explosion 32 years ago, struck me. He was my karate teacher in Boston. He was a great teacher and an extraordinary human being.